Being unsure of what the future has in store, but feeling ever more certain that they'll be leaving South Korea, the Harrington's have done their best to enjoy the peninsula and more importantly the friends they've made. So it was, the couple found themselves boarding a KTX train at 10:48 on a Saturday morning with good friends Hyunhee and Hakcheol en route to Paju, South Korea, the residence of Hyunhee's sister and Melissa's friend Uni. Now, generally speaking, being ready at 10:48 on a Saturday morning is hardly problematic. Unfortunately, for Mike, something wasn't sitting so well in the digestive tract and the heat and humidity of the morning, plus the confines of a subway and the sporadic movements of an escalator soon had Mike desperately searching for a place to release the contents of his gut in hopes the rest of the day would carry on in a much more pleasant manner. With minutes to spare, Mike re-joined the crew and was able to board the train feeling better, although not entirely 100%. A few hours later the crew of four arrived just north of Paju and were holding on tight for a quick and speedy ride to Uni's home. 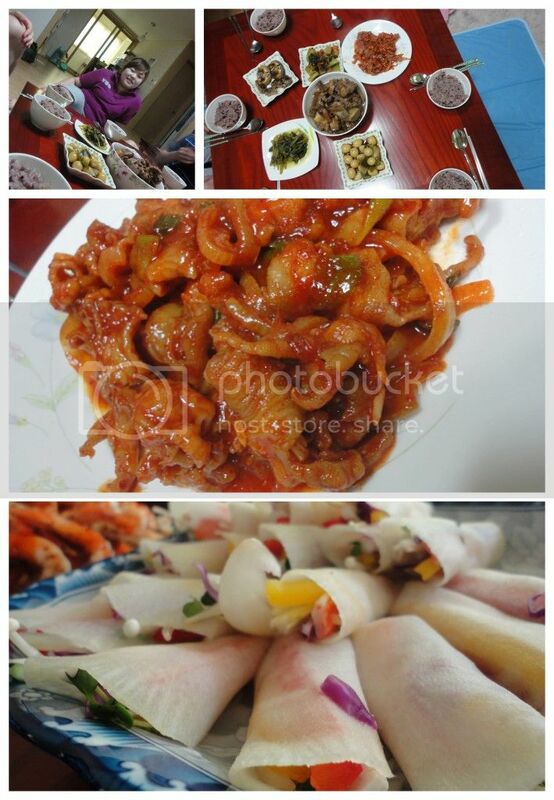 After settling in a bit, Uni and her husband escorted the Kim's and the Harrington's to a military base with various observation points along the DMZ. Working as professional military, Uni's husband was able to get the group into some non-civilian areas where the sides of the roads were marked with signs claiming land mines may still be active should the thin wire fencing be crossed. Soon enough, the Harrington's were gazing out over the DMZ and into North Korea. 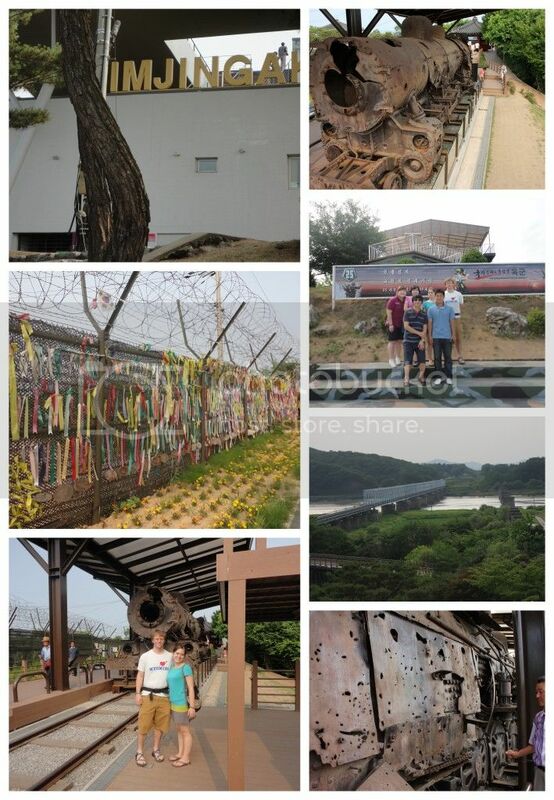 Following their experience on the border, the crew headed to Imjingak, the final stop (south of the DMZ) on a train line that originally connected the north and south, before they were, the North and South. Expecting a more somber experience, the Harrington's were surprised to arrive at what appeared to be a small scale amusement park, the sight of numerous kites flying high, an impressive restaurant and cafe building and street food vendors. Adjusting their expectations, the couple enjoyed an ice-cream filled waffle and wondered the grounds of Imjingak. Beginning to feel a bit exhausted by the sun and need to keep moving, both Mike and Hyunhee were ready and willing to call the excursions to an end and head home for dinner and a late night of Go-Stop (Korean card/gambling game) action. The following morning got off to a slow start which suited the late night 'gamer's' just fine. Breakfast consisted of what was intended to be beer snacks, but since no one drank beer the night before, breakfast was an assortment of veggie wraps, green onion pancakes and shrimp. With their bellies filled the Harrington's and Kim's were ready to begin the trek back home. 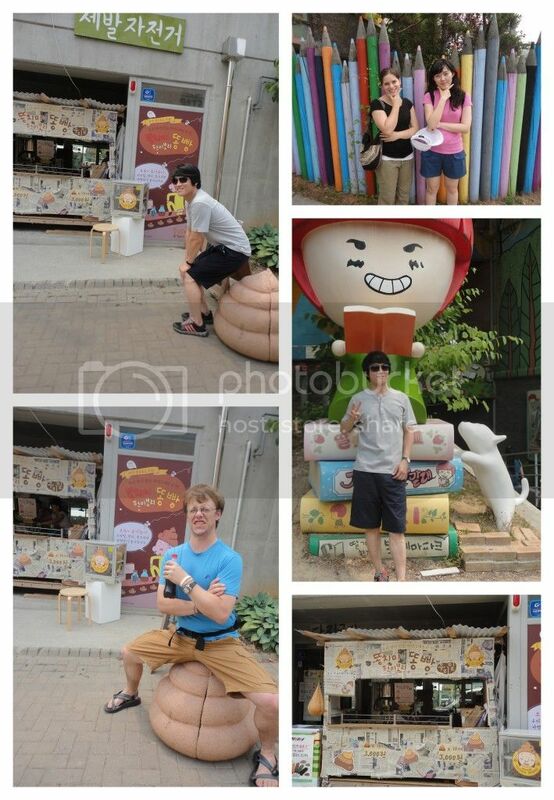 Before making their way to the subway and train necessary to return to Daejeon, the crew stopped at Hyeri Park, an area famous for it's artsy feel, numerous museums, quaint location and high-end cafes. 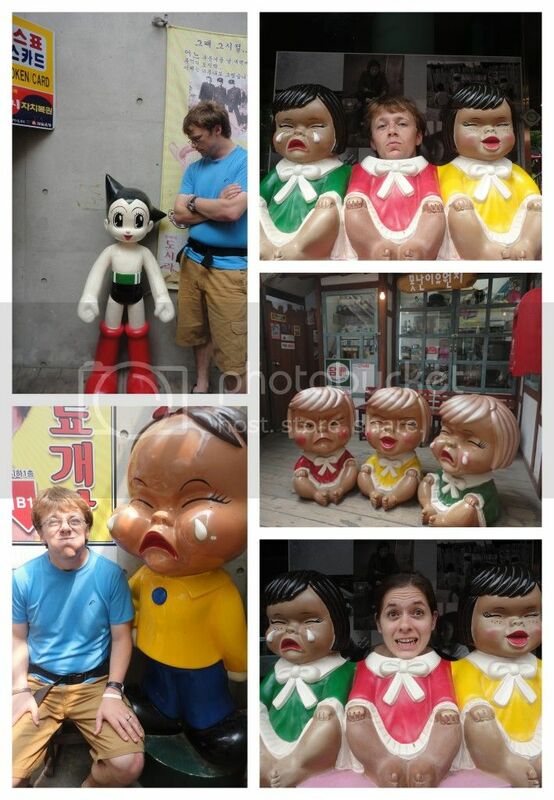 Picture opportunities were abundant and once the crew had had their laughs and walked the grounds they sat together at a cafe where they enjoyed Uni's husband's infamous Kimbap and some shakes and pat-bingsu from the cafe before parting ways, the Kim's and Harrington's en route to Daejeon.